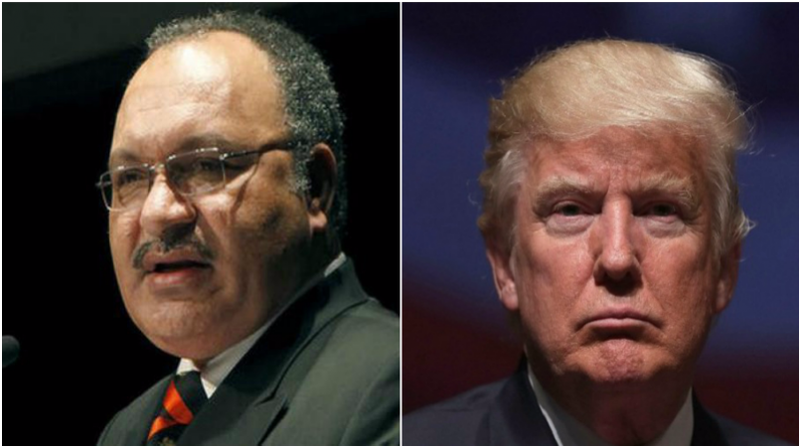 The Prime Minister of Papua New Guinea, Peter O’Neill, has formally invited the President of the United States, Donald Trump, to visit Papua New Guinea for the 26th APEC Leaders’ Summit. In correspondence with President Trump, O’Neill highlighted the unique nature of the APEC process and its relevance to economic advancement for all Member Economies. “I invite you to visit Papua New Guinea for the APEC Leaders’ Summit on 17-18 November 2018, and meet with the other 20 APEC Leaders and Pacific Island State Leaders,” Prime Minister O’Neill said. Having only recently been sworn into office, President Trump is one of the final leaders to be invited to attend the Summit. “Almost all APEC Leaders have now been invited to attend APEC Papua New Guinea 2018, and responded confirming their attendance,” stated the Prime Minister. “As a nation, we look forward to receiving leaders, ministers and delegates from Member Economies and advancing the APEC agenda. “APEC is not just the Leaders’ Summit, but is a year of meetings and workshops that also serve to build capacity in our country. “During the APEC year in Papua New Guinea, more than 200 meetings will take place covering policy areas, at the technical level, that are vital for regional economic development.